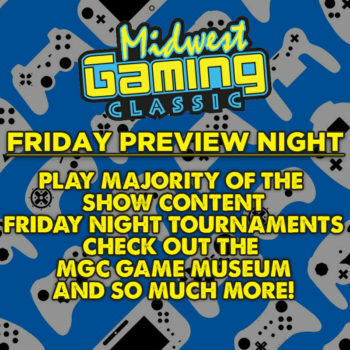 If you want a chance to game without the masses of people that our full show brings, Preview night is for you! 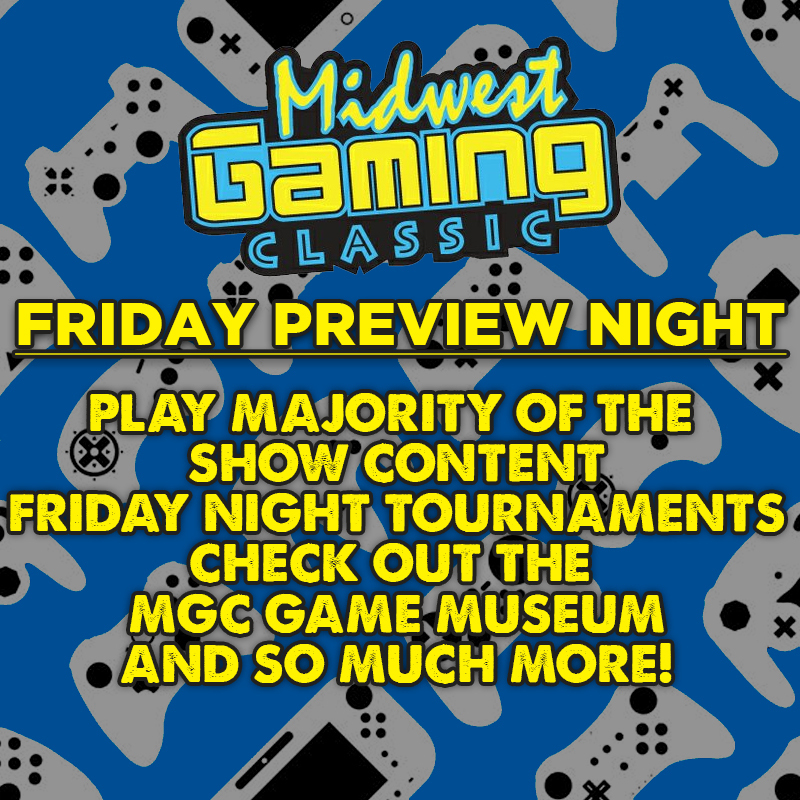 Event attendance is significantly limited in order to give attendees the chance to participate in many events, including laid back tournaments, the chance to check out all the new arcade video and pinball machines, and the chance to play with less lines! We sell less than one ticket for every five games that we have set up on Friday night, so it's a great chance to get out and PLAY! Note, the vendor hall and certain exhibit rooms are not open for Friday Night Preview Night. Due to the limited nature of Preview night, ALL attendees regardless of age must have a valid admission ticket. Questions about attending, vending, sponsoring, or what happens when you're all out of gum?